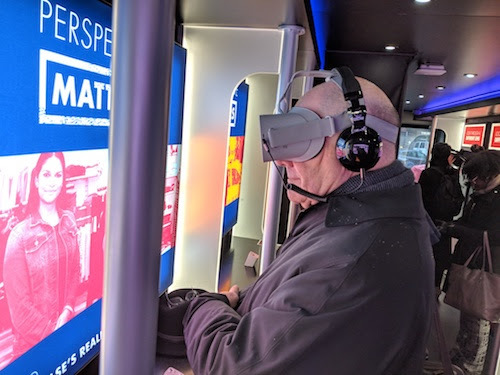 That’s me in the photo above, engaging with an interactive, virtual reality (VR) installation on the “Check Your Blind Spots” unconscious bias training tour bus. In this VR experience, I’m invited into an encounter between two young black men, a suspicious elderly white neighbor, and a white policeman. 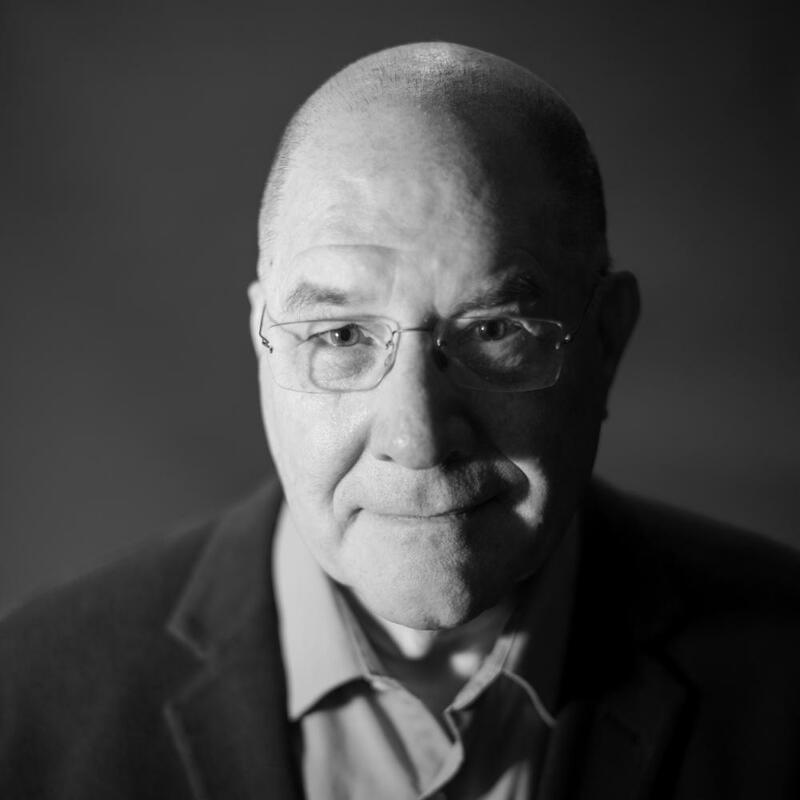 The point is to immerse the viewer into an all-too-common situation that is loaded with potential for misunderstanding and conflict (fortunately, nothing violent took place in this instance). The title of this exercise, “Look Into Someone Else’s Reality,” is both a literal description of the VR experience and a larger, metaphorical call-to-consciousness about racial, ethnic, and gender stereotyping and resulting behavior.